Based on the news Marcopolo (th 1292) and Ibn Battuta (13th century). In the year 1267 has established the first Islamic kingdom in Indonesia, namely the kingdom of Samudra Pasai. This is also evidenced by the tombstone tomb of Sultan Malik al-Saleh (th 1297) the first King Pasai Ocean. Sultanate of Pasai Ocean, also known as the Ocean, Pasai, or Ocean Darussalam, the Islamic kingdom located on the northern coast of Sumatra, more or less around the city of Lhokseumawe, North Aceh now. Kingdom of Samudra Pasai standing around the 13th century by Nazimuddin Al Kamil, an Egyptian sea admiral. In the Year 1283 Pasai can ditaklukannnya, then lift Angry Pasai Silu became King's first with the title of Sultan Malik al-Saleh (1285-1297). Tri Nahrasyiah tomb of Ibn Battutah, the famous Muslim traveler from Morocco, noted something very memorable for him while visiting a kingdom on the east coast of Sumatra about the year 1345 AD. After sailing for 25 days from Barhnakar (now entered the territory of Myanmar), Battutah landed in a place that is very fertile. Trading in the area is very developed, characterized by the use of gold currency. He was more amazed because when it comes down to the city he found a very beautiful city surrounded by walls and towers of wood. Trading town on the coast it is the capital of the Kingdom of Pasai Ocean. Ocean Pasai (or pase if the following designation of local communities) not only noted as a very influential kingdoms in the development of Islam in the archipelago. In the reign of Sultan Malikul Dhahir, Ocean Pasai developed into an international trading center. Its harbor crowded by merchants from Asia, Africa, China, and Europe. Pasai Ocean triumph in the area Geudong Ocean, North Aceh, beginning with the unification of a number of small kingdoms in the area Peurelak, such as Jungle Jreum and Seumerlang. Malikussaleh Sultan was one of royal descent who conquered several small kingdoms and founded the Indian Empire in 1270 Masehi.Makam Abdullah ibn Muhammad ibn Abdul Kadir. He is married with Algae Sari, a daughter of the Islamic empire Peureulak. From the marriage, was born two sons named Malikul Dhahir and Malikul Mansyur. After they grow up, Malikussaleh abdicate to his eldest son Malikul Dhahir. He founded a new kingdom called Pasai. When Malikussaleh died, Malikul Dhahir combine the two kingdoms that became Ocean Pasai. In the story of his journey to Pasai, Sultan Ibn Battutah Malikul Dhahir describe as a very pious king, generous, humble, and have attention to the poor. Though he has conquered many kingdoms, Malikul Dhahir never be conceited. Her humility was shown while welcoming the king's entourage Ibn Battutah. The guests were seated on a bed of cloth, while he sat on the bare ground without anything. With his personal mirror is so humble, the Indian king who ruled in the period 1297-1326 Pasai this AD, carved on his tombstone a poem in Arabic, which means, this is the tomb of a noble Malikul Dhahir, light rays world religions. Recorded, during the 13th century until the early 16th century, Pasai Ocean known as one of the city in the Strait of Malacca to the airport is very busy harbor. Along with Pidie, Pasai become an international trade center with pepper as one of the major export commodities. It was expected to export pepper Pasai around 8000-10000 hull every year, besides other commodities such as silk, camphor, and the gold brought from the hinterland. Not only the advanced import export trade. As an advanced trade dealers, Ocean Pasai issuing currency as a means of payment. 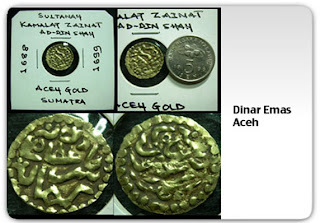 One of them made of gold known as the dirham. Trade relations with the merchants of the island of Java are also intertwined. Production of rice from Java exchanged with pepper. Javanese traders have a special position in the port of Pasai Ocean. They are exempt from payment of excise duty. 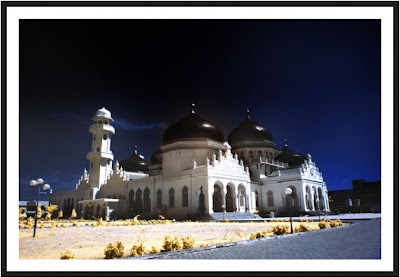 Aside from being a trading center, Pasai also became the center of the development of Islam in the archipelago. Most Islamic preachers who came to Java and other areas from Pasai. The close influence of the Kingdom of Pasai Ocean with the development of Islam in Java can also be seen from the history and background of the Wali Songo. Sunan Maulana Kalijaga marry Isaac son, Sultan Pasai. 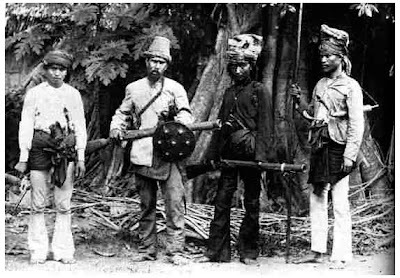 Sunan Gunung Jati persistent alias Fatahillah against Portuguese colonialism was born and raised in Pasai. Admiral Cheng Ho also noted've been to Pasai. The site is Pasai Ocean Islamic kingdom was very famous in the 1980's, before the conflict in Aceh was heating up and dampen the pilgrims. According to Jacob, the locksmith's grave of Sultan Malik-righteous, big-name the sultan also invited the curiosity of pilgrims from Malaysia, India, to Pakistan. "Countries that used to establish trade relations with Pasai," said Jacob. descendants in the tombs of the kings were. The tomb was the only witness for the other relics such as the palace is not there. The tomb of Sultan Malikussaleh and her granddaughter, Queen Nahrisyah, are the two sites belonging to the complex is still maintained. Zahir Malikal tomb. According to Snouck Hurgronje, a direct relationship with Indonesia new Arabic place during the 17th century kingdom of Samudra Pasai, Bantam, New Demak and Mataram. Pasai Ocean before becoming an Islamic kingdom located in the port city of Majapahit, which at that time was experiencing setbacks. 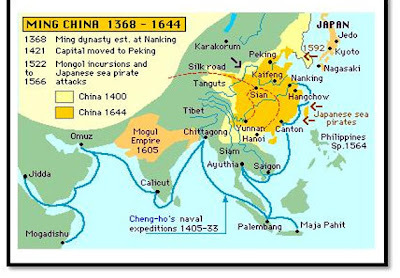 Once ruled by Muslim princes, the merchants of Tuban, Palembang, Malacca, India, China and others came to trade in Pasai Ocean. According to Ibn Battuta: Pasai Ocean is the most important port and the Palace of the King has been compiled and arranged in beautiful patterns based on Indonesian culture and Islam. 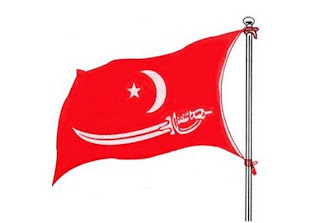 better known by the name of Al-Tahir Malik, his successor Sultan Ahmad (years 1326 to 1348), also used the name Al-Tahir Malik, his successor Zainal Abidin. Raja Zainal Abidin in 1511 was forced to flee and leave his throne refuge in Majapahit, because you are still king of Majapahit. This means kinship with King King of Majapahit Samudra Pasai terbina very good, according to Chinese news mentioned the mid-15th century, Samudra Pasai still sends envoy to China as a sign of bin Hisana persahabatan.makam Naina Naina. Fatahilah, leading scholars Pasai Trenggono married the sister of the Sultan (King Demak / Unus duke's brother / son Raden Patah). Fatahilah won Sunda Kelapa (June 22, 1522) renamed Jayakarta, also Cirebon and Banten.